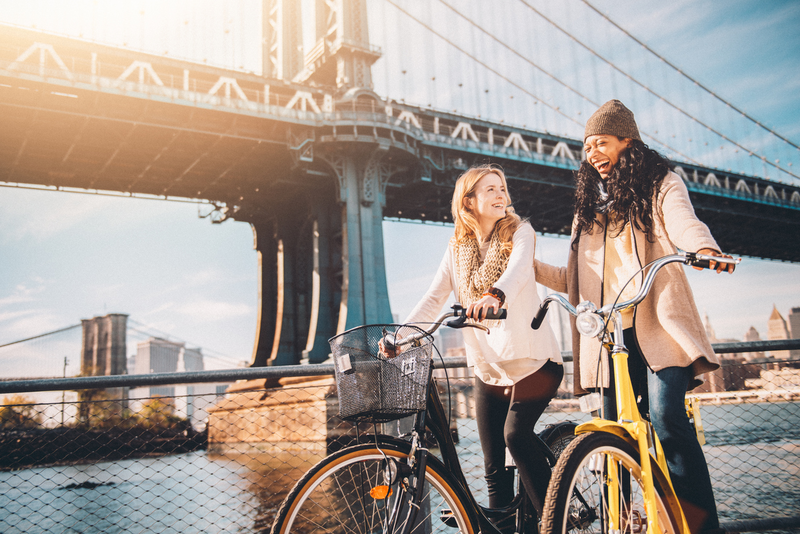 From how to get around New York City, to what to do and where to go, your NYC travel travel tips are all right here on the Manhattan Hotel Times Square blog. If you’re coming to New York with a long sightseeing list, you don’t have to break the bank to see everything you want. The solution is to purchase a sightseeing pass. The time has come to turn our attention to literature about New York. 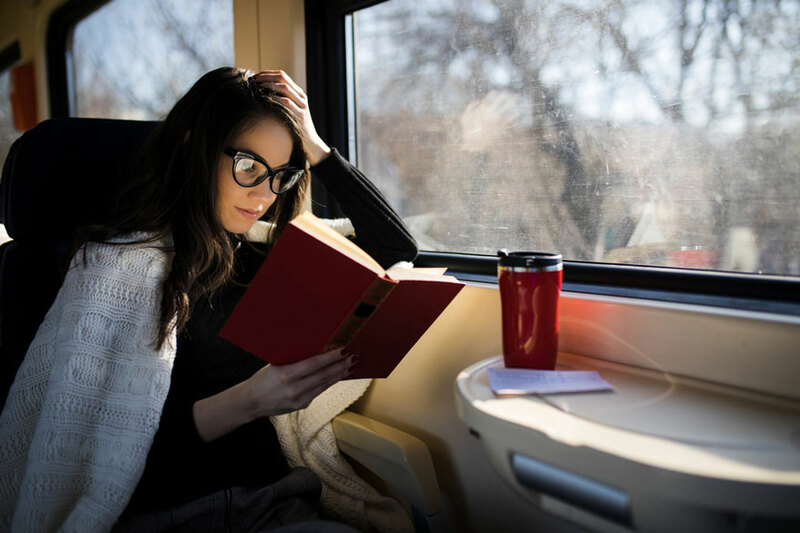 We’ve chosen a few popular classic and contemporary novels. They all depict New York from unique perspectives and at different points in time. 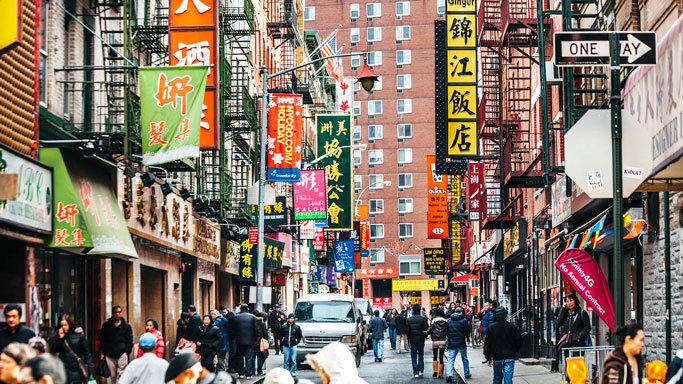 Chinatown Manhattan is a hub of authentic Asian experiences. This neighborhood also happens to be located in one of the oldest areas of New York. As a result, the cultural heritage is quite unique. When you’re traveling on a budget, the best way to experience a new city is on foot. New York is extremely walkable, so much so, that most of the popular attractions are right next to each other. Don’t worry about heading out into a strange city and getting lost. 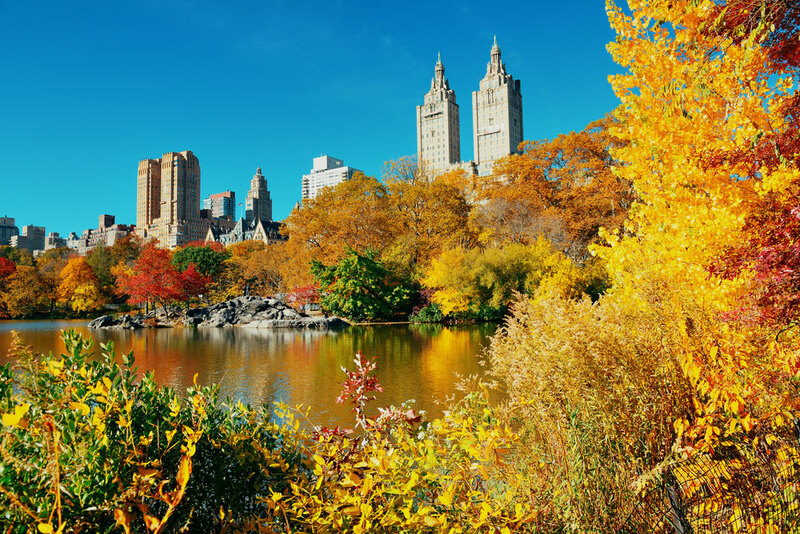 Read on to find out which are the best affordable walking tours in New York! Winter is in full swing. 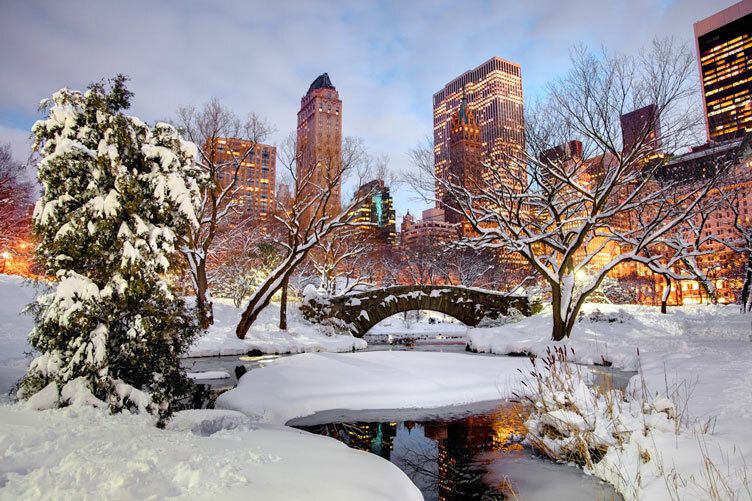 If this is your first time visiting New York during the coldest months, you’re in for a treat. 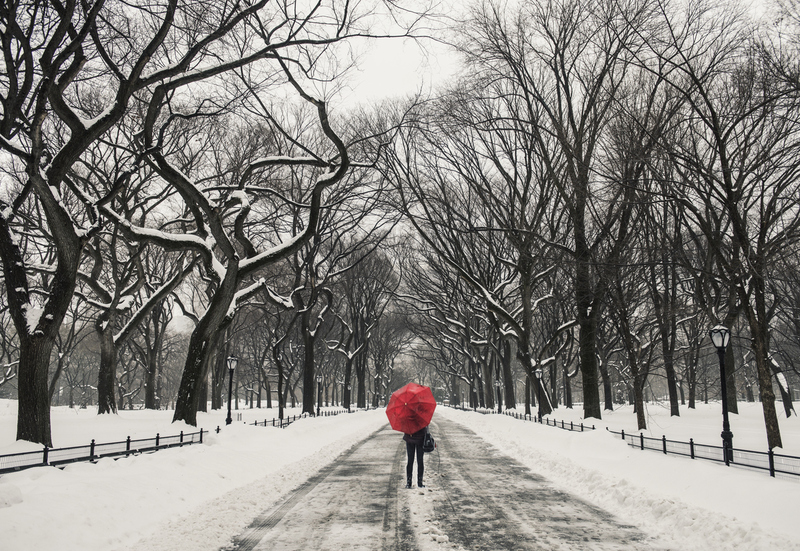 Head straight to these locations to snap the perfect photo of a snowy New York day. If you are well acquainted with the meaning of MLB, NBA, NFL, NHL and US Open, then you’re in the right place! 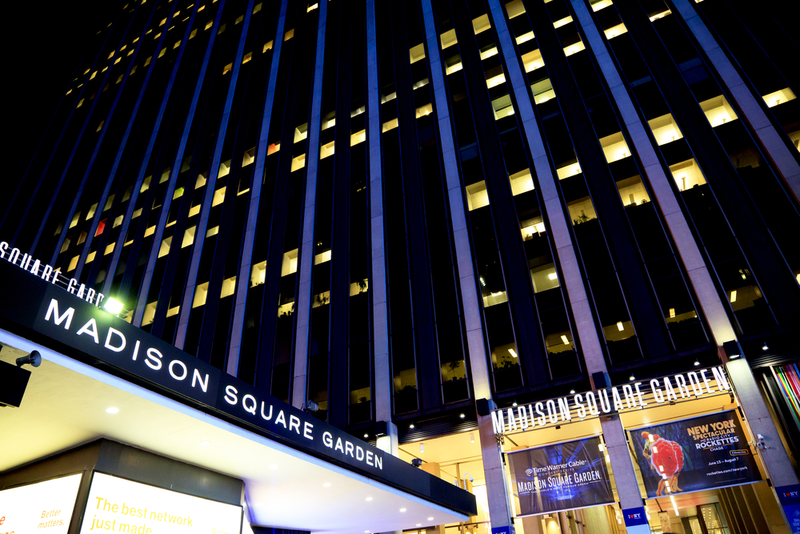 New York City hosts some of the greatest sporting events in the country, from football, basketball, baseball, tennis, hockey to boxing and wrestling in these top sports venues. The iconic New York skyline is made up of skyscrapers that are well-known all over the globe. Some of the most popular ones are open to the public. But the city has other attractions that transport visitors to the clouds for sweeping views of New York. 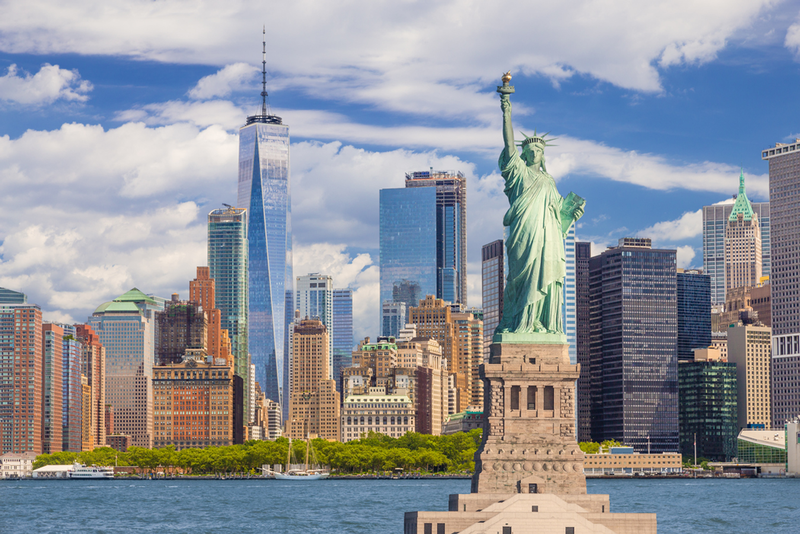 Here are the 5 tallest attractions in New York. Once an industrial and somewhat abandoned neighborhood, Chelsea has undergone a tremendous transformation over the years. What makes this corner of New York so special is the trendy art galleries, views of Hudson River, gourmet eateries and contemporary vibe. Learn more about with our guide to Chelsea. A summer holiday in New York means long days and exciting seasonal events… But nothing’s perfect. The Big Apple can get very hot, humid and sticky. 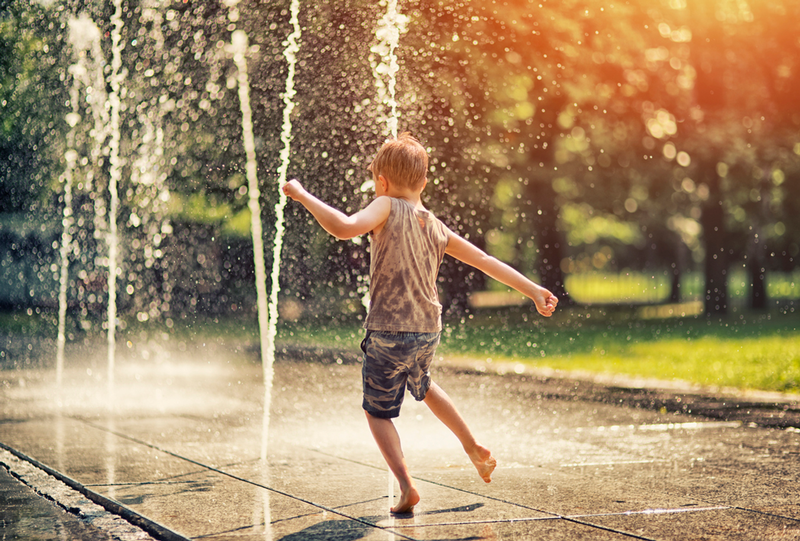 Visitors who aren’t used to these conditions struggle unless they find ways to beat the heat. School is out and your holidays to New York are booked. 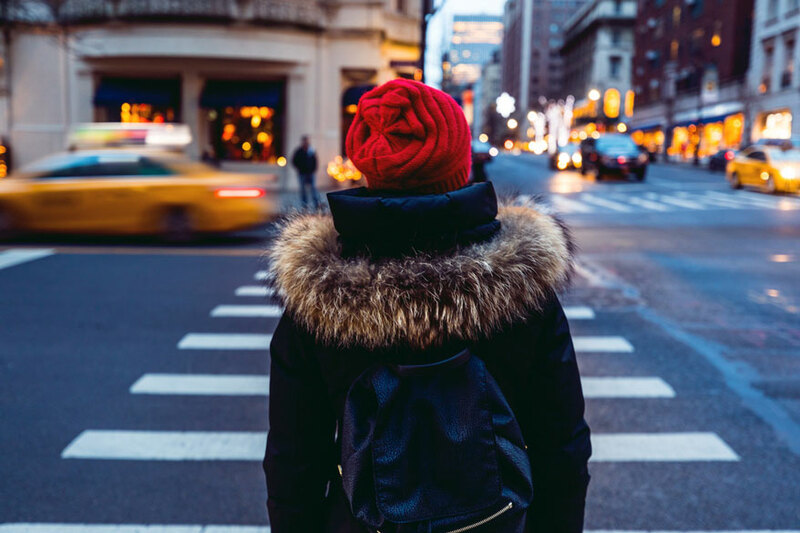 What better way to treat your kids after a year of hard work at school than by staying at your relaxing home away from home, The Manhattan at Times Square? Traveling sometimes means dropping everything you were doing, going somewhere new, then returning home to wonder how you lost all that hard-earned fitness that you had before you left. How can you maintain your all-important regime? 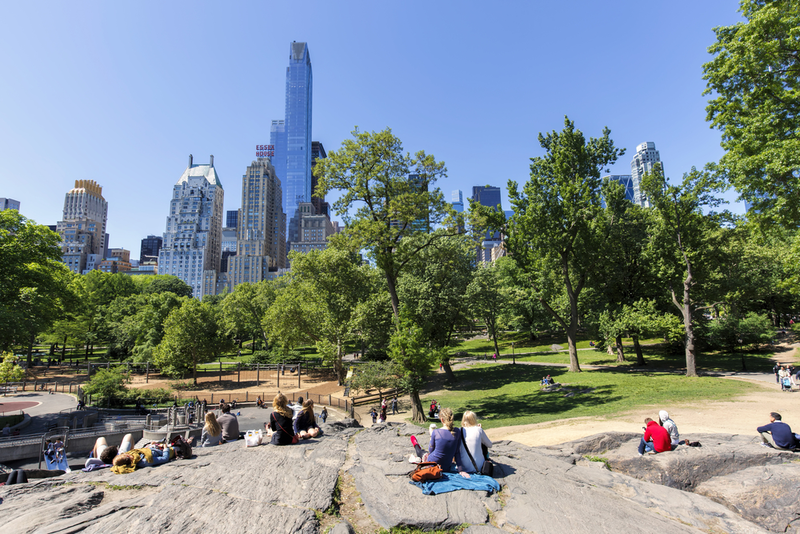 We hear from many of our guests who are unused to the big metropolis that New York can become too much after a few days… And to these guests we recommend visiting at least one of these parks to breathe fresher air and bask in the sun while lounging on the grass. 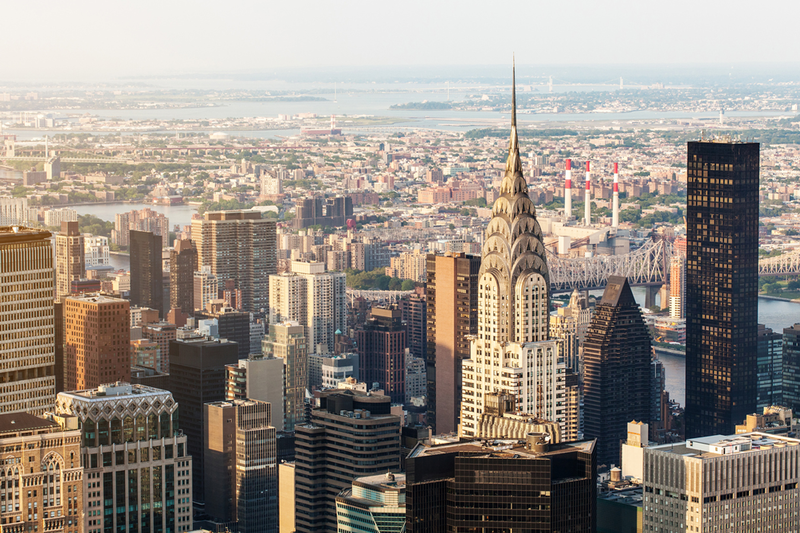 The heart of New York City is Midtown Manhattan. 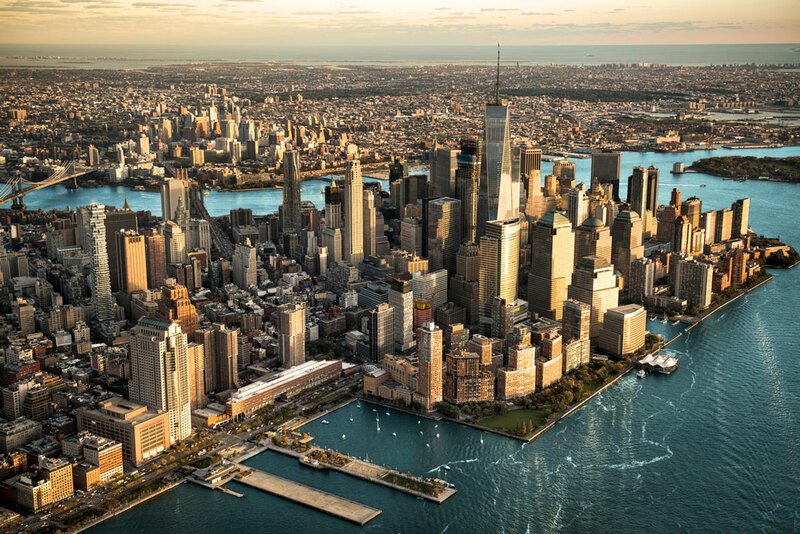 If you’re coming to NYC for the first time, we’re ready to bet that most of the attractions and experiences on your bucket lists are located in this neighborhood. 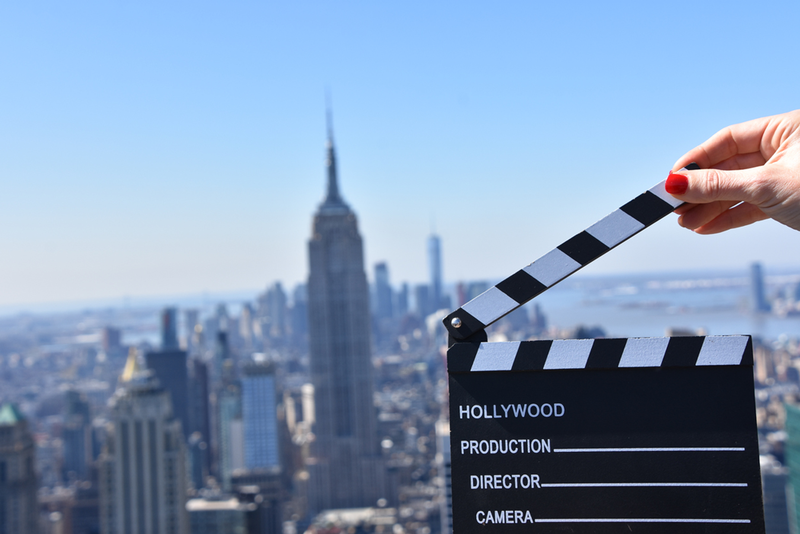 A city as notorious as New York will always be in the mind of screenwriters and with the popularity of American films worldwide, it’s no wonder tourists come to NYC to see the place where their favorite stars once stood. With summer just around the corner, the time has come to enjoy New York City in all its glory. And the best way to see it is on foot or two wheels. 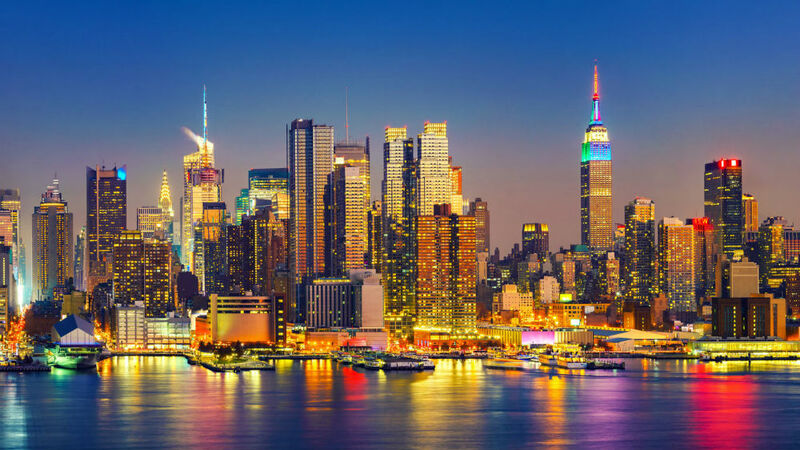 An exciting destination for adults seeking to experience life in a metropolis, New York can be just as interesting for children and teenagers – if you know where to go to keep them entertained. 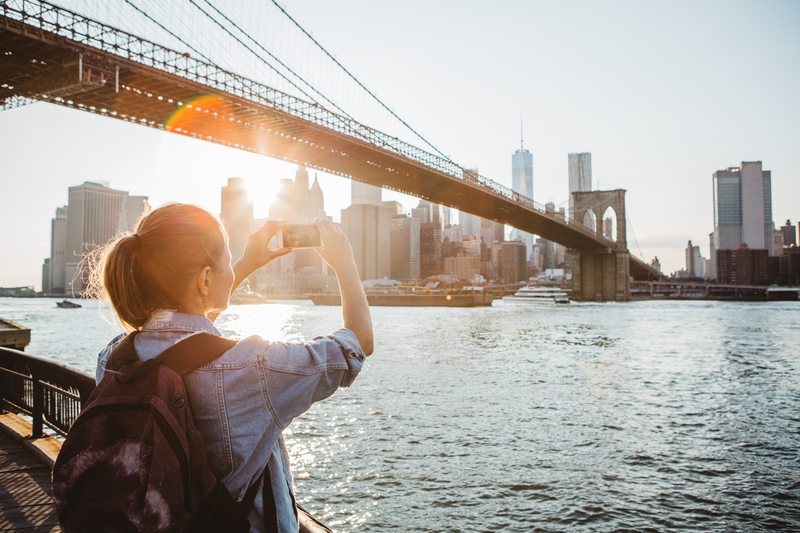 Known as one of the most expensive cities in the world, New York can scare budget travelers away… If they don’t know the secrets of saving money when visiting New York. Continue reading and that won’t be you! Christmas and New Year’s celebrations have come and gone, but frosty temperatures in New York are just reaching their peak. If you’re visiting NYC at the height of winter, you might wonder what you can do to enjoy the city in spite of the cold. 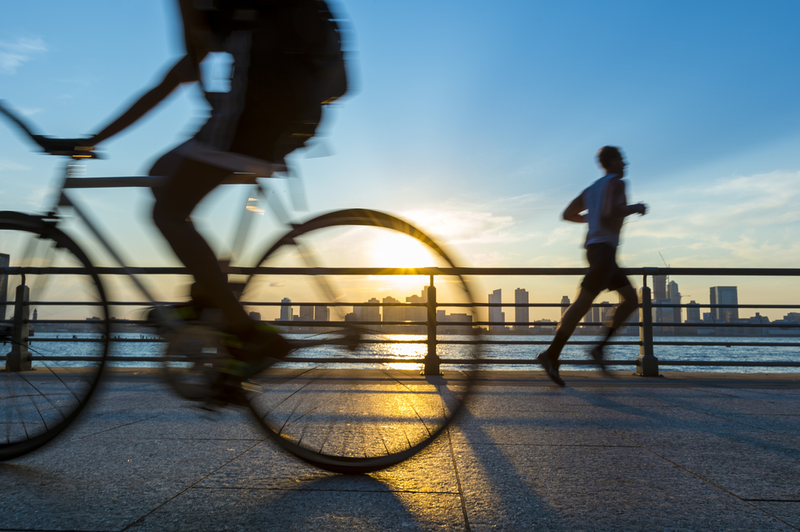 The buzz of New York City’s marathon may be dying down, but New Yorkers never stop pounding the pavement. 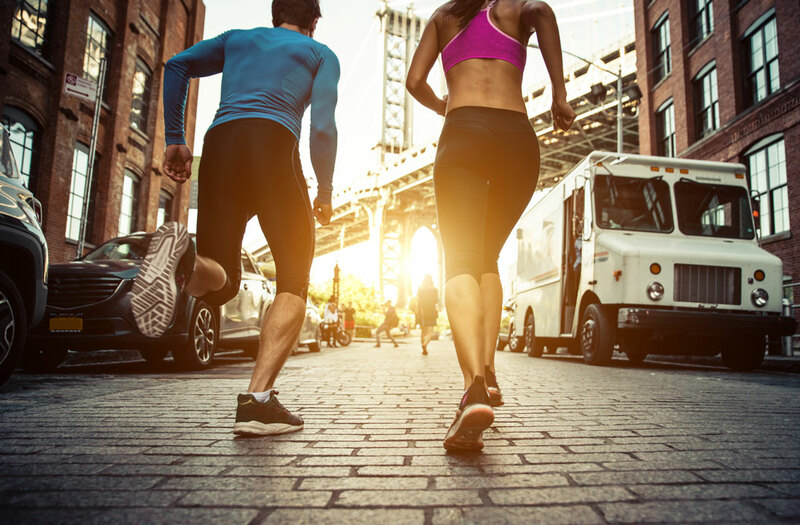 On your next trip to New York, make sure to pack your running gear - you won’t want to miss the opportunity to explore the city through running. 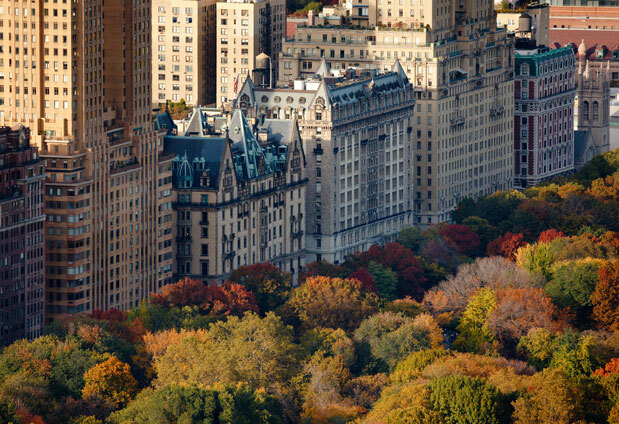 A city like New York is meant to be seen in all its seasonal glory. And that means being ready for whatever the weather might throw at you. 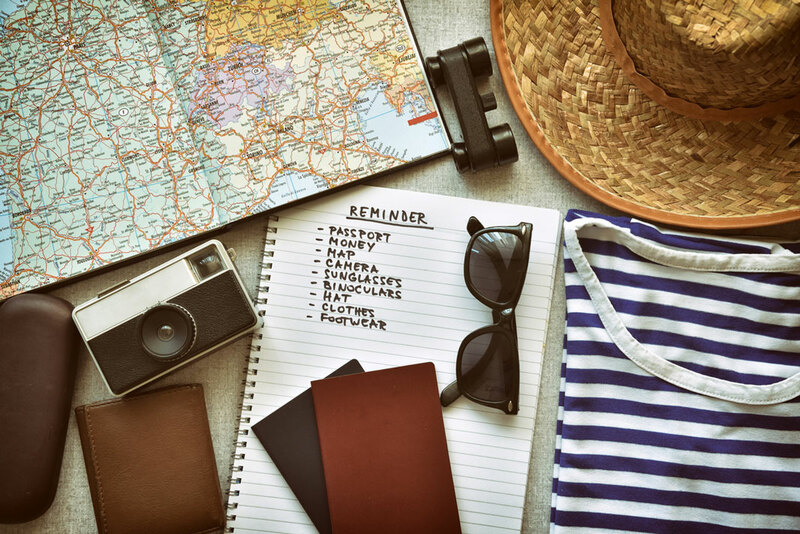 The Manhattan at Times Square has put together a list to help you pack the right clothes for your trip. What comes to mind when you think of New York? Our guess is Times Square, Broadway, the Museum Mile, Fifth Avenue and skyscrapers. There are numerous ways to see the buildings that make up the city’s skyline, but the best ways are to see them are from above and from a distance. 'Tis the season for leaf peeping! And Central Park is the place where you want to be. 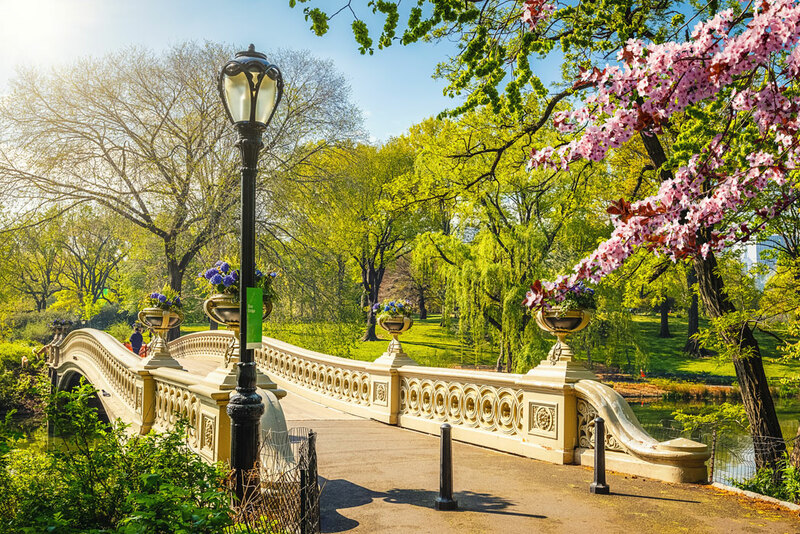 Feast your eyes on gorgeous landscape after landscape by exploring the following areas, starting at Central Park’s south end, which is only a short walk from the Manhattan! Capturing a trip on camera is almost as essential to a tourist as air. Once we are old, we want to impress the young ones with jaw-dropping images that go along with our travel tales. So, we have taken it upon ourselves to pinpoint the exact locations that should be visited to shoot the perfect New York City photos. Being a tourist in New York City, especially for the first time, is daunting. This city has so much to offer that sometimes you don’t know where to begin. But how to ensure you don’t miss out? We’ve got you covered. The list below includes the five sights that no one should ever, ever, miss and which can be enjoyed year-round. Off-the-beaten path but not far from perfection! The Tenement Museum is an interactive experience that can be viewed three ways. The first is to tour the building of restored apartments, past businesses, residents and merchants from a variety of time periods. The second is the most innovative--meet the residents, these are costumed interpreters that are acting out the daily life of the people that lived at 97 Orchard Street. December is officially in full swing, time to visit Bryant Park Winter Village. Nothing says the holidays like a market full of possibilities, iceskating, and hot cocoa. Get cozy on a couch or in a lounger at rink-side popup restaurant Public Fare. Warm your tummies with our favorite grilled cheese and tomato soup. One thing about New York City is that there's a museum for pretty much anything. We have art museums and taxidermy museums, but did you know there's a museum that lets you explore NYC's vast subway tunnels and beautiful, derelict stations? Well, there is. The New York Transit Museum offers semi-regular tours for those seeking a little info about the world beneath Manhattan's streets. 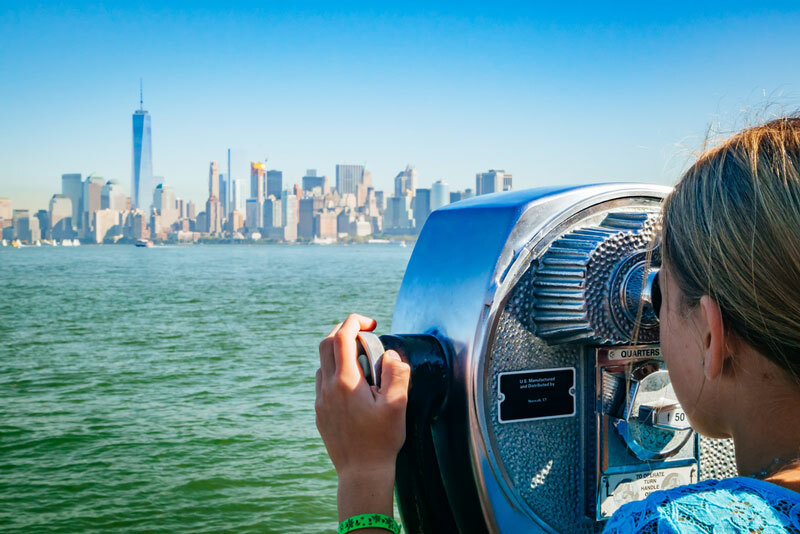 For those visiting the Big Apple hoping to leave with a little more history under their belt, there are multiple tours through the city that provide insight, inspiration, and weave tales of the rich history of New York City. 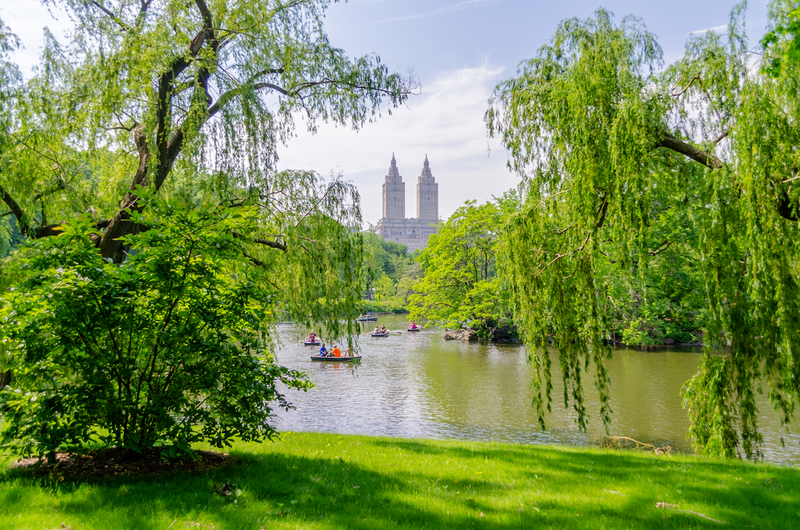 But there is no other tour quite like the one that includes a visit to three of the most culturally rich and historic areas in New York City. Take a walk with your guide and the rest of your group through SoHo, Little Italy, and Chinatown. The city, with all its lights and splendor, can occasionally be stressful for tourists who are unused to the fast pace. So if you have time during your visit to chill out for a bit and escape the heat, find some rest and relaxation at one of the many spas New York City has to offer. If you go to New York City and don't manage to get in a horse drawn carriage while visiting Central Park, you've missed out on a staple experience for tourists everywhere. Though many might turn their noses up at such an old-fashioned mode of transportation, the truth is that seeing Manhattan by carriage is a unique opportunity, and, as a bonus, it offers a break from the hustle and bustle of the city, which many tourists need after a few days. It wouldn't be a proper New York summer without Shakespeare in the Park. 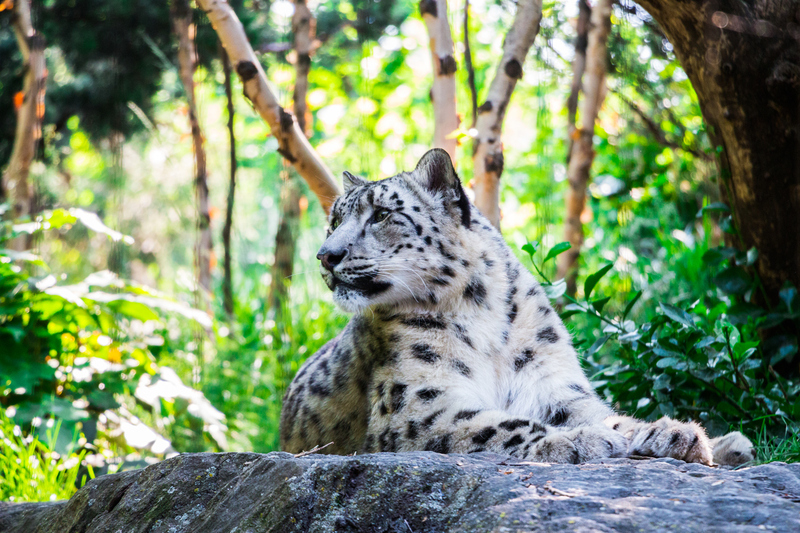 You can catch this year's performance at the open-air Delacorte Theater in Central Park, a fifteen minute drive from the Manhattan at Times Square Hotel. 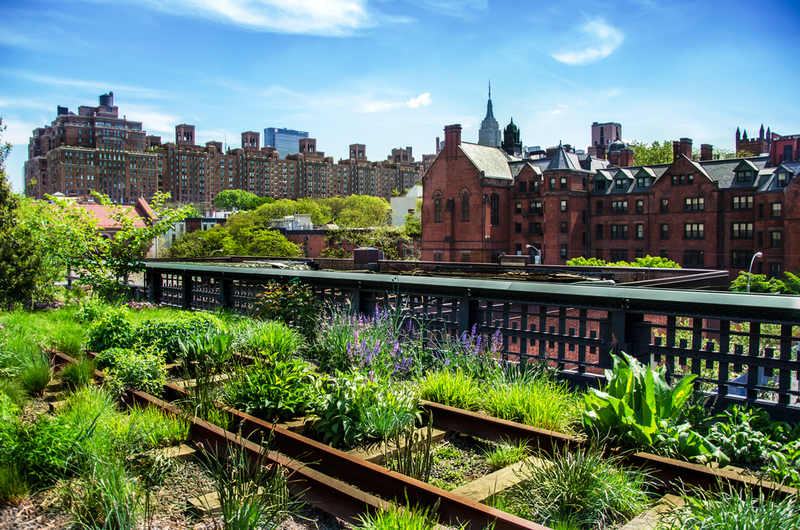 >We've mentioned some of what the famous High Line Park in NYC has to offer before, but we haven't gotten to talk about some of the other amazing opportunities and tours that set off from that location. The High Line, an elevated train track converted into one of the United State's most unique parks, is located only a ten minute drive from our hotel in Times Square. What do the New York Harbor Foundation, fifty public schools, local restaurants, businesses, non-profits and a bunch of oyster-loving foodies have in common? A goal to restore the oyster population of the New York Harbor by at least one billion oysters by 2035. The Billion Oyster Coalition was created to preserve and restore the natural ecosystem of the New York harbor, which has been all but destroyed. Times Square is one of the most visited sites in the world, receiving on average 300,000 pedestrians every day, there to take in the gigantic, high-wattage billboards and marquees. Yet with all of this foot traffic, there's a secret that not many people, not even seasoned locals, know about. From exactly 11:57 p.m. until midnight, the screens simultaneously change from the images, products, and brands they show all day. On the eighteenth floor of our Times Square hotel, you'll find our newly renovated Executive Class Rooms. These were purposefully designed with a residential feel to create a sense of peace and tranquility in this home away from home. Details are important, which is why we've taken great care in selecting the art that hangs in these rooms and why our design team chose their sophisticated and soothing color palette.